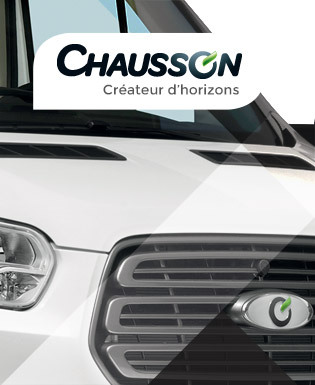 CHAUSSON is a brand of TRIGANO, the European leader in leisure vehicles. CHAUSSON is a well-known French brand with a rich history. CHAUSSON overcabs and low profiles are designed and manufactured by TRIGANO VDL at Tournon sur Rhône (Ardèche, France) in the heart of the Rhône Valley vineyards. Around 5000 campers are manufactured at one of the largest plant sites in Europe (on a surface equal to 33 football fields). For the “vans” sector, a specific plant is dedicated to design and manufacturing. CHAUSSON is present in over 15 European countries and relies on a vast network of dealers, who are true specialists in leisure vehicles.